Cape Town (26 October 2017) – Zeitz Museum of Contemporary Art Africa (Zeitz MOCAA), the world’s largest museum dedicated to contemporary art from Africa and its Diaspora, opened to the public on Friday 22 September 2017 to thousands of local and international visitors. After its official ceremony, that included speakers such as Western Cape Mayor Patricia de Lille, Premier Helen Zille and Archbishop Emeritus Desmond Tutu, the museum celebrates its one-month anniversary by clocking an incredible 70,073 visitors in its opening month. 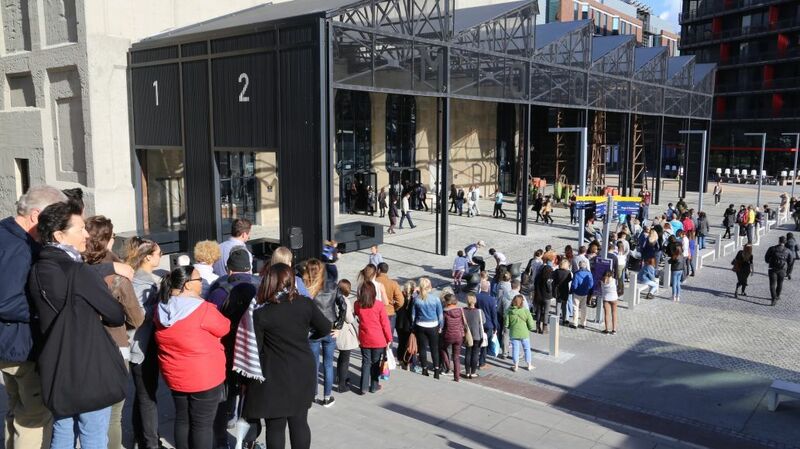 Of these, 35,005 visitors were free entrants, underlining one of Zeitz MOCAA’s primary principles: Access for all. Executive Director and Chief Curator Mark Coetzee said, “As the most visited art museum in Africa, we are thrilled that our local audience, and visitors from across Africa, have embraced Zeitz MOCAA. We are excited to continue to serve our community into the future and guarantee access for all”. Despite cold weather and howling winds, citizens from across the continent formed long lines, snaking around the former grain silo each day to view the 12 new exhibitions. These include an early career retrospective, Material Value, of Swaziland-born artist Nandipha Mntambo; an early career retrospective of Kudzanai Chiurai’s work entitled Regarding the Ease of Others; and Nicholas Hlobo’s impundulu zonke ziyandilandela, which is displayed at the heart of the museum in the BMW Atrium. Zeitz MOCAA has been particularly delighted to welcome school groups from across the Eastern Cape and Western Cape as part of the museum’s first educational outreach programme. The museum has also hosted special interest groups from leading global museums such as the Centre Pompidou in Paris, the TATE in London and MOMA in New York, reaffirming the importance of Zeitz MOCAA’s role in promoting art from Africa and its Diaspora across the globe. The museum will continue its founding principle of Access for All with free entrance for under-18s every day, for all citizens of African nations on Wednesday mornings from 10 am to 1 pm, and on Museum Nights from 5 to 10 pm; and half-price entry on late-night First Fridays every month from 4 to 9 pm. More than one hundred galleries, spread over nine floors, are dedicated to a large cutting-edge permanent collection; temporary exhibitions; and Centres for Art Education, Curatorial Excellence, Performative Practice, Photography, the Moving Image, and the Costume Institute. Zeitz MOCAA was established through a partnership between the V&A Waterfront led by CEO David Green––acting on behalf of Growthpoint Properties Limited and the Government Employees Pension Find (GEPF), represented by the Public Investment Corporation Limited (PIC)––and collector Jochen Zeitz. The building was reimagined through a design by the acclaimed London-based Heatherwick Studio. Mark Coetzee serves as the Executive Director and Chief Curator.